European satellite pay TV business Sky has accepted the £11.7 billion (US$14.6 billion) takeover offer from its lead shareholder 21st Century Fox amid controversy over the price and transparency of the deal. The agreement values Sky shares at £10.75 each – they are currently trading at £9.85 on the London Stock Market – and the overall business at £18.5 billion. 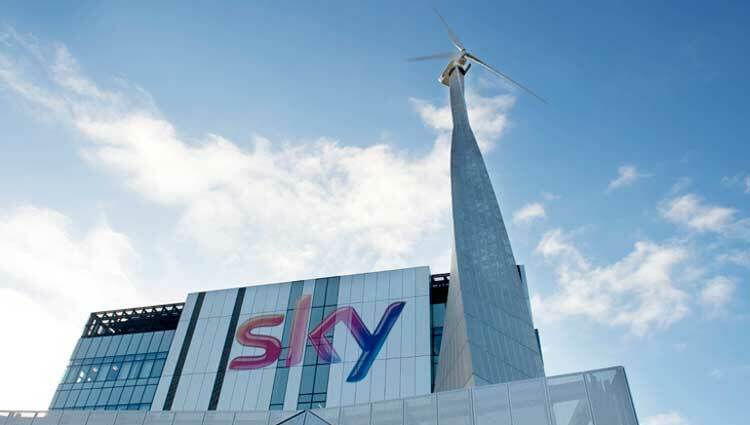 Sky notes the agreement is a 40% premium on the £7.69 price shares were trading at before details of the offer emerged on December 6, and represents a multiple of 11.4 times adjusted EBITDA of £2.18 billion the company posted for the 12 months to June 30. Fox’s owners, the Murdoch family, already own 39.1% of the Sky business, and failed in attempted takeover in 2011. Fox CEO James Murdoch, also Sky’s chairman, has noted the current ownership structure is “not an end state that is natural” for his family. Provided the deal gets regulatory approval, this will change with the deal. Fox expects the agreement to close before the end of 2017, but as reported by Sky News, the ‘scheme of arrangement’ takeover means that only 75% of Sky’s independent shareholders need to approve the deal before minority stakeholders opposed to the offer are compelled to accept it. The deal, however, faces heavy scrutiny from various parties. Some critics are concerned the deal will place too much UK market share in the hands of the Murdochs, who control the Times and Sun newspapers through sister company News Corp. Smaller Sky shareholders have claimed the £10.75 price should only constitute a starting price for a deal, and not the agreed amount. For US-based media giant Fox – which owns the Fox broadcast network, the National Geographic brand and the Star pay TV business in Asia – taking over Sky, which it co-founded in 1990, would mean stronger content production and distribution capabilities, direct-to-consumer access and technologies such as the next-gen Sky Q box. Significantly, it would firmly establish Fox as Europe’s pay TV leader, with significant operations in the UK, Ireland, Germany, Austria and Italy. “Sky is a creative, commercial and consumer powerhouse delivering to customers across all platforms,” said a Fox spokesman. “Sky is the number one pay TV brand in all its key markets, with an exciting growth runway in each. “The enhanced capabilities of the combined company will be underpinned by a more geographically diverse and stable revenue base. Sky deputy chairman Martin Gilbert – who owns 0.39% of Sky through his role as CEO of Aberdeen Asset Management – claimed that while Sky did not necessarily need to sell, the 40% premium would “accelerate and re-risk the delivery of future value” for shareholders. Therefore, the company’s independent committee has unanimously voted for the deal. “The independent committee also notes 21st Century Fox’s track record in growing businesses and its ability to continue the development of Sky across Europe, in a world where entertainment and distribution are converging,” he added. There was no word if Sky group CEO Jeremy Darroch would remain with the company after the deal closes. He was one of eight members of the independent committee, along with CFO Andrew Griffith and six non-executive directors, including Gilbey. UK culture secretary Karen Bradley will now have ten days to decide if the deal would concentrate too much of the media business in the hands of one family. There is also concern exactly how distanced the independent committee is from Sky. Most come from investment banking and major cable operation backgrounds. As at 30 June 2016, Sky served approximately 22 million customers across five countries: Italy, Germany, Austria, the UK and Ireland. The company has annual revenues of approximately £12 billion.